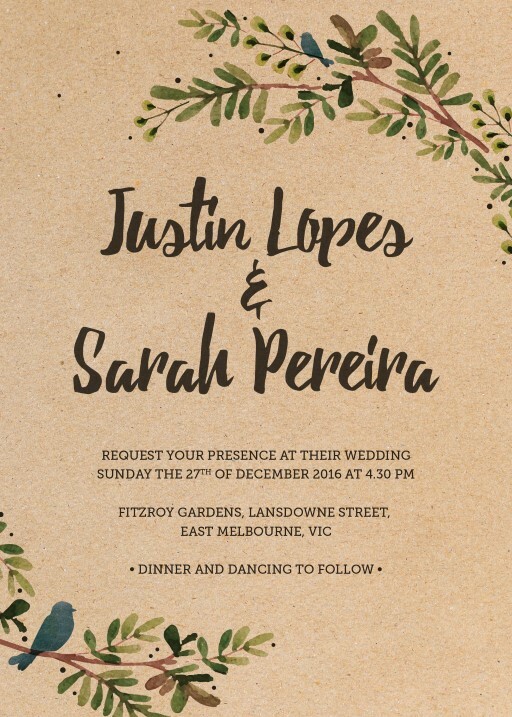 These beautiful rustic floral wedding invitations, 'Rustic Garden' collection by independent Aussie designer Nadine Warapen draws influence from Australian country weddings and would fit perfectly for those seeking eco wedding invitations and planning a destination styled ceremony. 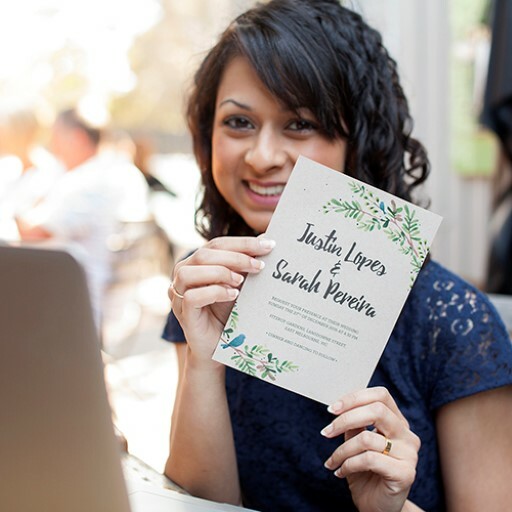 These country floral wedding invitations from the collection look stunning when printed using Digital Printing and here at Paperlust we think it looks best on Paperlust Kraft. 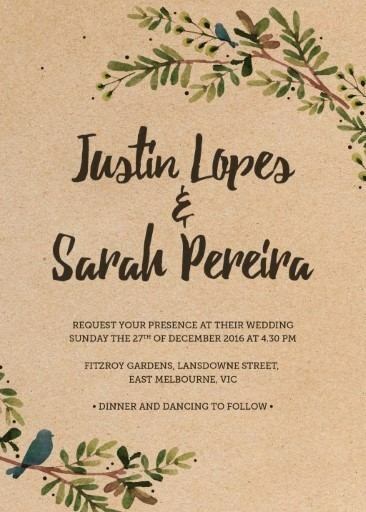 This is a really pretty wedding invitation. I really like the hand made, painted style. The details with the leaves and cute little bird are so lovely and work really well on the brown paper. It looks like a great invite for an outdoor wedding. 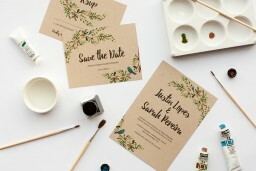 What a beautiful design, did you do the watercolour on the invitation by hand? I love kraft paper and eska board in particular, I have my business cards done in this rustic paper in letterpress and all my clients comment on it!